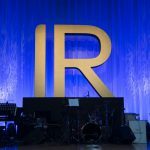 The IR Magazine Forum & Awards – India 2019 is a must-attend for those wanting to keep up to date with the latest in the world of investor relations. The event aims to recognise, promote and set benchmarks of IR excellence across the region. The forum: More than 100 CFOs, IR professionals and advisors spanning multiple industries and cap sizes will share their experiences and teachings on the key issues impacting public companies and their investors. Over a series of panel discussions, interactive roundtables and keynote talks from both international and domestic investors, analysts and heads of IR, you will learn how to adjust your IR program at a time when elections, policies and global trends are shifting the framework of capital markets and communication. Understand what the buyside and the sell-side really want, hear from award-winning IR Officers about how they redesign investor relations in a changing environment and discover effective ways of managing the news flow and ensuring good corporate governance for the benefit of your company and shareholders alike. The awards: A networking drinks reception and a short awards ceremony which recognizes those leading the way in IR excellence in India will conclude the event, so don’t miss out on the opportunity to better understand what the buy-side value as good IR and meet with the best in the community – including our award winners from 2018! You can find more details including the agenda below. Register your place today! Want to stay up-to-date with trends impacting IR, understand global best practices, hear from leading international and domestic investors or talk through the latest challenges with other investor relations professionals? Whatever challenges you’re facing today, it will be covered as part of the event, see the discussion topics below, and click on each session for more detailed information. In this keynote address, we look at the forces impacting public companies in India, focusing on the social, economic and political trends that are changing equities and examine what it means for the investor relations function. Economic & investor outlook: What impact will the election result have on the economy, investor confidence, Indian equities and investor relations? Equity investing is rapidly transforming: capital markets are increasingly global, more funds flow into passive vehicles, there is more direct interaction with investors than ever before and corporate access models are adjusting. We assemble winners from the IR Magazine Awards – India 2018 who will share how they are adapting their IR programs to remain competitive and current in a changing investment environment. All speakers on this session were winners at the IR Magazine Awards India 2018 – so you can hear directly from award winning IR professionals. APG Asset Management is a leading Dutch pension fund that invests globally across multiple asset classes. Hear directly from its head of EMEA and India equities to get insight into how the investment process works across multiple regions and how IROs in India can increase their appeal to global investors. Participate in roundtable discussions with your IR peers. Choose three discussion topics and interact with your peers, share best practices and debate the big issues facing IR. The session will conclude with a summary discussion from the roundtable leaders. Hear from a panel of foreign portfolio investors, local mutual funds and pension funds to learn more about the changing expectations investors have for IR. Companies in India are continually challenged by a lack of liquidity. How can IR help make it easier for investors to build a position in their company? How should IR act during volatile periods for the stock exchange? Over the last year, ESG has had some milestone developments in India: the country’s first asset management company became a signatory to the United Nations Principles for Responsible Investment and the first ESG fund was launched. The increase in domestic investors integrating ESG criteria into their investment decisions, coupled with the rapid growth of ESG globally, means investor relations professionals need to develop their understanding and communication of ESG risk factors now more than ever before. Governance issues continue to dominate business headlines and, in an era of hyper-transparency, social media and false news continue to influence investment decisions. IR has a pivotal role in ensuring good governance practices and protecting shareholder value. What are your peers doing to effectively manage the news flow? How do they engage with active investors at a time of heightened scrutiny? This closing keynote will focus on what lies ahead for the investor relations profession in India and discuss challenges and opportunities over the next 12 months. Specifically, we will share views on how IR can build its strategic influence. We are giving individuals and companies the opportunity to nominate themselves, free of charge, for award categories that recognize their achievements and best practices in aspects of IR over the past 12 months. Entries will be scrutinized by a panel of expert judges made up of investment professionals and IR Magazine editorial team members. The winners will be announced live during this awards presentation and celebratory drinks reception. Kailash Gupta is A seasoned Finance Professional with 21 years rich experience in General and Business Accounting, Taxation, Banking, Treasury, Business planning & review, Budgeting, Commercials, Legal, Controlling and relationship Management. As the Chief Financial Officer at Inox Leisure Limited, Kailash is responsible for the overall finance, accounts, taxation, legal and investor relations of the 33 B+ INR market cap entertainment company. Prior to joining the company in 2015, Kailash was the general manager at Torrent Pharmaceuticals where he was responsible for business finance operations of Europe and India, and also worked in finance roles at Entertainment Network, Thomas Cook India, Tata Teleservices, Aditya Birla Nuvo and Grasim Industries. Pankaj Tibrewal is a Senior Vice president & Equity fund manager for Small & Mid-Caps at Kotak AMC. He manages schemes such as Kotak Emerging Equity, Kotak Smallcap and Kotak Equity Hybrid Aggressive Plan. His earlier stint was with Principal Mutual Fund where he managed schemes like Principal Emerging Bluechip, Principal Tax Saver and MIPs. Pankaj has featured in the top 10 fund managers in India in 2016, 2017 & 2018 as per Outlook Business and Economic Times (Morning Star). A commerce graduate from St. Xavier’s College, Kolkata Pankaj also holds a Master’s degree in Finance from Manchester University. His hobbies include listening to Hindi music, travelling and reading. Nishant Baranwal heads the Investor Relations team for Jindal Steel a business conglomerate with global interests in Steel, Power, Mining and Infrastructure. In his role, Nishant is responsible for both Equity and Debt Investor Relations and is the primary contact & nodal agency for continuing relationships with Foreign Institutions, Brokerage houses and other financial institutions across the world. Nishant was also ranked #1 IR Professional in Asia by institutional investor magazine in 2016/2017. Pulkit Bhandari is the Head of Group Corporate Finance for RPG Enterprises. In his current role he is responsible for the Group’s Mergers & Acquisitions, Strategic Financing activities and Investor Relations across the Group. In his earlier role Pulkit, was an Investment Banker and worked for Deutsche Bank and a few domestic banks in India. He has managed transactions in excess of Rs. 30,000 cr across M&A and capital raising in different sectors. RPG Enterprises, one of India’s largest industrial conglomerates with a turnover of c. Rs. 20,000 crores. The group has over 15 companies managing diverse business interests in the areas ranging from core infrastructure sector to technology. In order to achieve market leadership in a diversified portfolio, RPG Group is organized as a cluster of 4 key sectors viz: Infrastructure (KEC International), Tire (CEAT Limited), Information Technology (Zensar Technologies) & Specialty (RPG Life Sciences, Raychem RPG & Harrisons Malayalam). As the Head of Investor Relations at Minda Corporation, Deepak won the prestigious ‘Best Investor Relations Officer’ (‘small to mid cap’ category) at inaugural IR Magazine Forum & Award 2018 in Mumbai. At Minda Corporation, he was also instrumental in raising equity of Rs. 310 Crores through qualified institutional placement (QIP) in May 2018. Neha Agrawal is the manager for strategy, M&A and new business development at consumer goods company Marcio Limited. Neha joined Marico in 2012 as the Manager of investor relations and M&A and after 3.5 years became the finance lead and corporate controller for the companies international units. Neha’s current responsibilities include working with promoters of investment companies to drive the scale-up agenda, drive the M&A agenda, lead the finance and commercial aspects for the new business team and to build and drive the long term strategic business plan and integrated group strategy. Prior to joining Marico, Neha worked at Vodafone, Tata Motors and Edelweiss Capital. Neha holds an MBA in Finance from the Institute of Management Technology in Ghaziabad and a BMS in Finance from Narsee Monjee College of Commerce & Economics. Marico has been recognized as having excellent corporate governance practices by multiple organisations. Egon Vavrek is The global director of emerging markets equities – Fundamental Strategies at APG Asset Management, the largest investor in the Netherlands with over €4.7 Bn in assets under management. Egon was previously responsible for APG’s Emerging Europe, Middle East, Africa and India direct equity investments when he served as Head of EMEA and India Equities and a Senior Portfolio Manager of Equities at the Dutch pension fund. Before joining APG, Egon worked as head of LGT Capital Management’s EMEA Equity Investments. He joined this Swiss based multi-boutique asset manager in 2008. Egon attended the ICMA Centre, part of Henley Business School in the United Kingdom, where he obtained his MSc in International Securities, Investment and Banking in 2006. 11.00 Implementing integrated reporting: Where to begin? Vrushali leads the IIRC efforts in India through advocacy and outreach, where she is responsible for liaison with regulatory bodies and institutional partners, actively leading awareness and outreach towards adoption by Indian companies, supporting business network by reviewing and providing guidance to member companies. Vrushali is the lead trainer for IIRC certified practitioner’s training. Vrushali is also engaged in next-gen strategy initiatives on Integrated Thinking and Hidden Capitals and is a contributing author for articles for institutional magazines, conference proceedings and academic publications. Ashwin Bajaj has recently taken charge as Head of Investor Relations for the Adani group’s Energy companies which include Adani Transmission Ltd., Adani Power Ltd., and Adani Green Energy Ltd. Prior to his current assignment, Ashwin has had very relevant and significant experience in the corporate world for over 20 years for equity and credit in respect of India, UK and US listings. His experience encompasses Investor Relations, Capital Markets, M&A, Restructuring, Rating Agency Relations and Strategy. Ashwin was previously Head of IR at Vedanta Resources plc and Vedanta Ltd., one of the world’s largest metals & mining and oil & gas groups for 9 years. Vedanta’s IR program consistently received top rankings by Institutional Investor magazine under Ashwin’s leadership. During his tenure at Vedanta, Ashwin was involved in numerous transactions such as USD bond issuances, group restructuring and mergers & acquisitions. Prior to this, Ashwin worked in New York in the Treasurer’s Office of General Motors, and at GMAC Financial Services (now renamed Ally Financial), the world’s largest NBFC at the time. Ashwin obtained an MBA degree from Duke University, and BS degree from The Wharton School. Anand M S is the founder and President of the Investor Relations Society of India and the author of the ICFAI published Investor Relations book. Anand M S has over 20 years experience in strategy, planning, shareholder wealth creation and financial journalism. Prior to starting at Sembcorp, Ajay was Head of Investor Relations & Forex with Tata Power for the two years and previously was the CFO & Company Secretary for the CGPL, a subsidiary company of Tata Power, operating a 4000 MW power plant. With over 18 years of working experience with big corporate house like Tata Group, Escorts Group & ITI in Finance and accounts functions, he has hands on experience in almost entire gamut of finance and accounts. In addition to the IR, he has additional responsibility of managing the Forex exposure for the Tata Power Group. His role includes risk management including foreign exchange risk management, liaison with bankers, credit rating agencies, financial market intermediaries, import & export related documentation. Ajay also has work experience as a Company Secretary conducting Board Meetings, AGM and ensuring compliance of the Corporate & Other laws and legal (including handling Court Cases). Sandeep Mahindroo is head of investor relations at large-cap information technology and consultancy firm Infosys. Sandeep picked up the gong for best Investor Relations Officer at a large-cap company and the best investor relations team award on behalf of Infosys at the IR Magazine Awards – India 2018. Laurie Havelock is a freelance journalist, writer and podcaster who has been working on financial titles for more than 5 years, dabbling with commercial property finance, responsible investment and investor relations as his main areas of focus. Outside of that he also writes about music, with a predilection for independent and emerging artists, has worked on a number of comedy projects, including a podcast he makes with musical comedian Paddy Gervers called Podshambles, and hosts a weekly show on Shoreditch Radio. Laurie has been published in the Independent, the Guardian and Q Magazine. Nimesh is a Chartered Accountant with 17 years of experience in Banking and Financial Services. 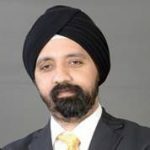 Prior to taking over the Investor Relations function at Kotak Mahindra Bank, Nimesh worked in the Group Strategy team that looks at strategic initiatives for existing businesses of the group, new business opportunities, alliances and partnerships, as well as inorganic opportunities for the Group. He has worked in various roles with the Bank, ranging from Management reporting, managing the proprietary investment desk to Group Strategy projects. He was the founder member of a microfinance initiative in the city of Mumbai, Svasti Microfinance, with which he was associated for a couple of years. 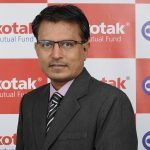 Prior to joining Kotak Mahindra Bank, he worked with ICICI Bank in their finance department. On personal front, he is an avid reader and a numismatic. has also worked at Goldman Sachs. He is an alumnus of XLRI Jamshedpur and K.J Somaiya College. For the second year we are giving individuals and companies the opportunity to nominate themselves, free of charge, to recognize their achievements and best practices for aspects of IR over the past 12 months. Entries will be scrutinized by a panel of expert judges made up of investment professionals and IR Magazine editorial team members. The winners will be announced live at the awards presentation and celebratory drinks reception, which will take place at the end of the forum on Friday, June 14. Please note the categories below are subject to change based on the final nomination results announced in 2019. The entry form is now closed and the judging process is underway. Short listed companies and individuals will be informed directly from late April. Good luck! This category recognizes investors that proactively seek to understand a company’s business model and regularly engage with IR and senior management. This category is unique, as the winner isn't chosen by a panel of judges, instead it is voted for by you - the investor relations community. Click here to cast your vote before the deadline on Friday, May 17. Are shareholders and analysts raving about the quality of your annual print or online report? Give us your vision of good reporting practice. Judges will be looking for a well-articulated equity story, ease of flow or navigation, state-of-the-art design and consistency/complementarity between different reports. Did you hold an investor day, site visit or other investor event that marked your company out from the crowd? This category is for individual IROs whose knowledge of their company and sector, whose ability to build relationships with members of the investment community, and whose transparency, accessibility and responsiveness sets them apart. Best performance by an IR team, which can include a CFO, CEO or other C-suite professional who contributes to the IR function of your company. Phase 1: Judges are sent all submissions for review. They are asked to score the entries for each category based on the category criteria. Scores are collated and averaged, which forms the initial short lists. Phase 2: For the second phase, judges come together to discuss, with renewed scrutiny, those entries that have made it through to the shortlist. This final stage will determine the winners and runners up, where applicable, in each category. The judges scores will not be shared with nominees, however, comments may be published in articles or reports after the event. The judges are not required to make comments against every submission. We gave you the opportunity to nominate investors for a brand new category at this year’s awards for best engagement by an institutional investor. For this award we received entries that recognised investors who proactively seek to understand a company’s business model and regularly engage with IR and senior management. 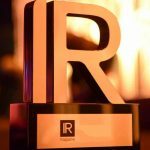 This category is unique, as the winner isn’t chosen by a panel of judges, instead it is voted for by you – the investor relations community. Complete the short form to vote for your winner before Friday, May 17. Full terms and conditions can be found on the form. For more information, please visit www.ir-india.com. Churchgate Partners is an international investor relations firm operating across India, Asia-Pacific and the Middle East. We work in partnership with our corporate clients in designing and implementing their IR programs. We deliver independent IR advice based on insightful analysis and practical solutions, for operating best practices in equity and debt capital markets. Churchgate Partners aims to ensure that the fundamental values of its clients’ strategies and financial performance are fully and fairly reflected in their share price. For more information, please visit www.churchgatepartners.com. Deutsche Bank’s DR team is part of the Trust & Agency Services business within Global Transaction Banking. In addition to specializing in administering cross-border equity structures such as American and Global Depositary Receipts, Deutsche Bank provides corporates, financial institutions, hedge funds and supranational agencies around the world with trustee, agency, escrow and related services. The Bank offers a broad range of services for a diverse set of products, from complex securitizations and project finance to syndicated loans, debt exchanges and restructurings. Deutsche Bank is a leading client-centric global universal bank serving 28 million clients worldwide. The bank provides commercial and investment banking, retail banking, transaction banking and asset and wealth management products and services to corporations, governments, institutional investors, small and medium-sized businesses, and private individuals. Deutsche Bank is Germany’s leading bank, with a strong position in Europe and a significant presence in the Americas and Asia Pacific. For more information, please visit www.adr.db.com. The International Integrated Reporting Council (IIRC) is a global coalition of regulators, investors, companies, standard setters, the accounting profession and NGOs. The coalition is promoting communication about value creation as the next step in the evolution of corporate reporting. The IIRC’s vision is to align capital allocation and corporate behaviour to wider goals of financial stability and sustainable development through the cycle of integrated reporting and thinking. Our events provide a unique opportunity to get in front of some of the most influential people in the Indian IR community. As a sponsor, you will gain an extensive amount of exposure through a wide range of print and digital marketing materials, both pre and post event, as well as on the day itself. Additionally, you can use the event to align yourself with IR excellence and network with key decision makers from across the region. To find out more about the benefits of sponsoring and the various packages available, email Sébastien Dutrieu or call on +44 77315 33165. IR Magazine has arranged preferential rates for delegates at the Sofitel Mumbai BKC and other nearby hotels. View the hotels and rates by clicking here. The 2018 award winners – congratulations! The ‘corporate attendee’ rate is reserved for corporate IR professionals at publicly listed companies only. All others will have to book under the ‘non-corporate’ rate. Please note that the prices below are our early bird rates, which expire on Friday, May 10th, 2019. Any bookings made after this date, will be charged at the standard rate.